Settlers began filtering into what is now Kentucky in the late 1700s; no permanent Native American settlements existed in the area, making it easier than some other regions for settlement. The first settlements were founded in 1775 by an influx of settlers from the nearby regions of Pennsylvania and North Carolina. Kentucky was on the front line during the American Revolution, and after victory for the colonies, Kentucky County was created as a separate entity from Virginia in 1776. After years of debate over Kentucky’s fate, it became the 15th US state in 1792. In the mid-1800s, Kentucky became a new hotspot for agricultural development, and farmers from other states flocked to Kentucky. Popular crops were corn, tobacco, and horses and mules. Many Kentuckian tobacco farmers were lured from Maryland and Virginia by the prospect of better soil and larger profits. 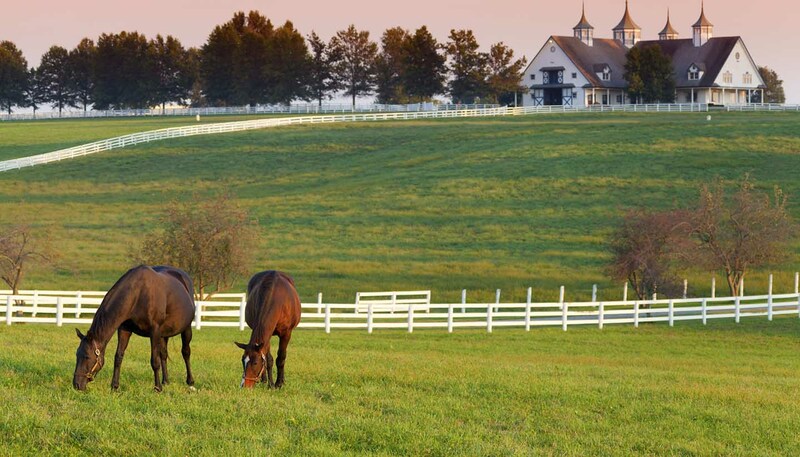 Kentucky’s other large industry was horses, and Louisville became home to the famous Kentucky Derby in 1875. During the Civil War, Kentucky remained neutral, but with strong Union sympathies. It was not until the Confederacy invaded Columbus, Kentucky, that the state officially declared allegiance with Union forces. After a period of political turmoil resulting in the assassination of the governor in 1900, Kentucky restored order and focused on rebuilding their infrastructure until being devastated by the Great Depression of the 1920s. There was widespread unemployment across the state until President Franklin Roosevelt introduced the New Deal to stimulate the state’s horrific economy and development of roads and telephone lines continued throughout the 1930s and 40s. Racial segregation was outlawed by the Supreme Court ruling in Brown v. Board of Education in 1954, and with that, Kentucky’s public schools were integrated and undergraduate programs began accepting African American students. Segregation ended in Kentucky completely in the mid-1960s, after supporting the Civil Rights Act of 1964 and later passing a civil rights bill in the state general assembly in 1966. Today, the state of Kentucky has diversified its economy and is now as well as holding a title for being one of the state leaders of agriculture with over 85,000 farms, the state is also one of the leading areas in the US for automobile and electricity production. In Kentucky, the majority religion is Protestant with the largest denomination being Baptist, followed by Methodists and Roman Catholics. There are also smaller groups of Jewish, Muslim and Eastern religious groups. Like many other states in the region, Kentucky is known for its laid-back, slow moving attitude. Residents are usually very friendly and hospitably, but may not rush like their counterparts in the northeastern states. English is the official and the most widely spoken language in Kentucky. As in many other states, they also have a quite small (but growing) Spanish-speaking population.